Where Can You Find Old Florida? 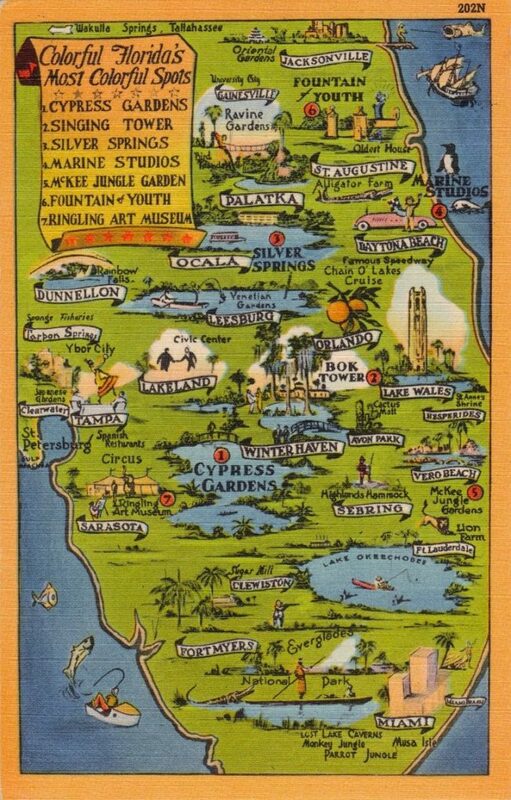 Where can you find old Florida? I mean Florida locations with classic old world charm and nostalgic local character. I don’t mean the Golden Girls, even though they did have lots of character! Dig deep and you can find it from Jacksonville to Key West. I discovered there are websites and blogs devoted to old roadside attractions like alligator farms, greasy fired chicken diners and Shuffleboard Clubs. Fun stuff and a good source for travelers to Florida seeking unique experiences beyond Disney. I dug a little deeper and discovered another spin on old Florida. Renovating old Florida vintage hotels as well as bed and breakfast inns and motels into smarter and hipper places to stay. An ongoing trend for a new generation of travelers. Yet keeping the authentic vibe, identity and charm. If these properties are located in neighborhoods that pride themselves in preserving their historic districts, all the better for the guests. Towns like St. Augustine and Amelia Island Fernandina Beach are prime examples. Amelia Island and specifically downtown Fernandina Beach is a mix of upscale and down-to-earth old Florida charm. Picture brick lined streets with palms and ancient moss draped live oak trees. Southern classic homes in the plantation and Victorian style complete the package. Example of real down-to-earth…1903 Palace Saloon. The oldest continuously operating bar in Florida. Known as the ‘shipcaptains’ bar in old Florida days when Fernandina’s docks were the busiest in the South. Of the 20 odd saloons, the Palace survives and thrives. Yes, a place where everybody knows your name. Now if you are visiting Amelia Island and happen to stop by the Palace Saloon for a Pirates Punch you may see Innkeeper Bob and his fury friends. Barkeeps there know everybodys dogs names too! They don’t get punch, bar biscuits are the preferred fare. 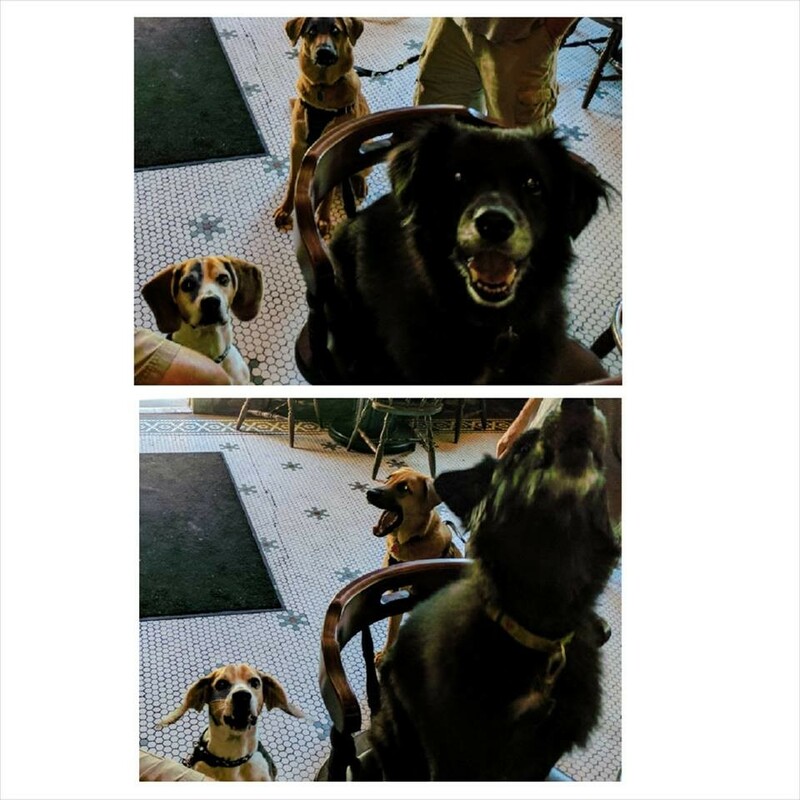 From Bob’s blog…Yesterday, for a short time, there were more dogs in the Palace Saloon than there were people. That is Maggie at the front, Louie to the left and Sam at the rear, all sitting nice and quiet, waiting for a treat. Oh but I digress, cute dogs will do it every time. Innkeepers Bob and Shannon own the Addison on Amelia. An upscale luxury bed and breakfast with down-to-earth charm, that perfect mix I mentioned before. 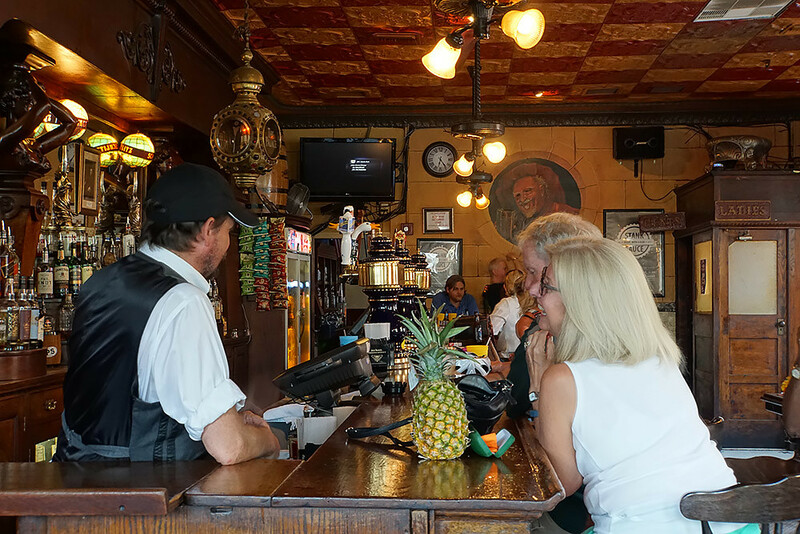 To get a glimpse into what life was like in old Florida, all you need to do is walk into the front parlor of the Addison’s original building. A welcoming gas fireplace greets you in the cooler winter months. Guestrooms feature four-poster beds, rich hardwood floors, and ceiling fans stirring a cool breeze. The color schemes are fresh, bright with hints of the tropics, just what guests are seeking in a seaside Florida bed and breakfast. 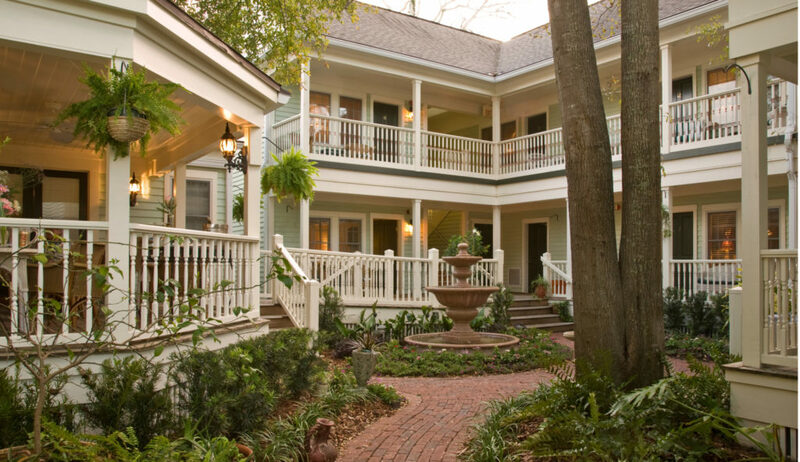 The B&B Team is proud to introduce you to this Amelia Island Florida Inn for sale. Looking for bed and breakfasts for sale in Florida? Start your search here. If you don’t find the B&B you’re looking for, we can help you identify and search for inns for sale in Florida. By the way, the mayor of Fernandina Beach is also the daytime barkeep at the Palace Saloon. Now wouldn’t that be a great town to live and own a business in? This entry was posted on Friday, April 14th, 2017 at 8:44 pm	and is filed under Innkeeping Business. You can follow any responses to this entry through the RSS 2.0 feed. Both comments and pings are currently closed.